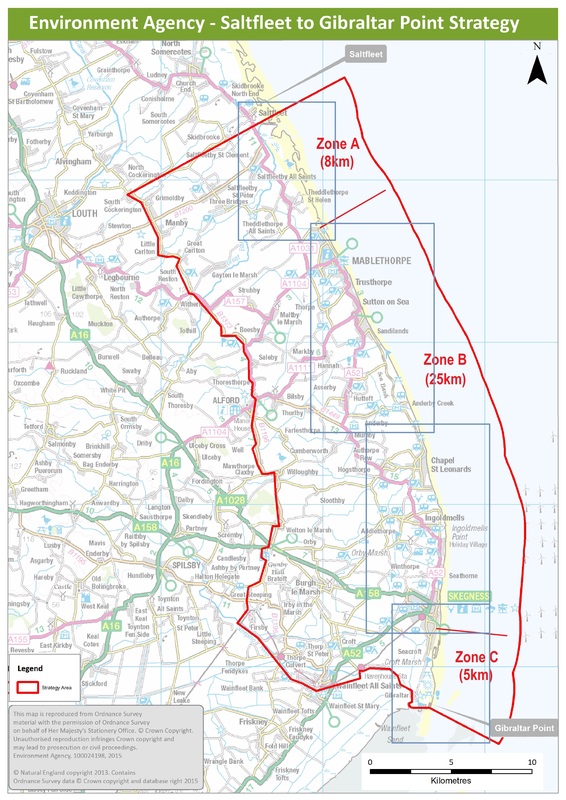 We wanted to know why you thought of the options being considered to manage coastal flood risk on the Lincolnshire coast for the next 100 years. The results of the public consultation indicated that sand nourishment and a combination of sand nourishment and rock structures, were the preferred approaches. Coarser sand, shingle or pebbles was the least preferred option. Your responses, along with the results of the Strategic Environmental Assessment and our own analysis, have helped us to deliver a draft strategy. This will be going out to public consultation in 2019. Thank you for giving us your views on the coastal flood risk options. Your views have been vital in helping us prepare the draft strategy document that will set out how we will manage flood risk on the Lincolnshire coast between Saltfleet and Gibraltar Point for the next 100 years. We will be taking the draft strategy to public consultation in 2019. The consultation on the options for the Saltfleet to Gibraltar Point Strategy is now closed, however information regarding the strategy is still available below. Your responses will go towards shaping a strategy that will be implemented in 2021. We will be coming back to the public to form a draft strategy which we will take to further consultation in 2019. We are reviewing how we will manage coastal flood risk on the Lincolnshire coast between Saltfleet and Gibraltar Point over the next 100 years. Sea defences between Saltfleet and Gibraltar Point manage the risk of coastal flooding to around: 20,000 residential homes; 1,700 businesses; 24,500  static caravans; 35,000 hectares of farmland and a bustling tourist industry. A large area of land behind the defenced is at or below mean sea level. Since the 1953 floods, major investment continues to improve and maintain these sea defences between Mablethorpe and Skegness. 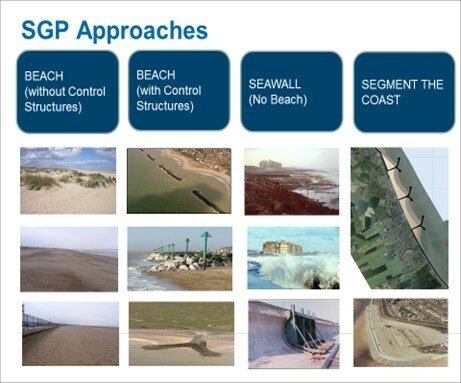 Hard defences (seawall) and natural sand dunes, in combination with beach nourishment provide a wide defence to manage coastal flood risk. Up until the early 90s, Lincolnshires beaches were subject to natural erosion, exposing sea defences and the supporting clay layer underneath. Without sand to act as a natural buffer and to take energy out of the waves, the risk of defences being breached was increased. In 1991 the county's first coastal management plan was approved with a sand renourishment programme launched in 1994, known as Lincshore. As a result the beaches have been annually maintained at a healthy level. Lincshore is reviewed every five years﻿ to ensure it remains a cost-effective and sustainable way of managing coastal flood risk in the area. All reviews concluded that beach nourishment in combination with sea walls is a viable coastal flood risk management solution. However, due to climate change, sea levels are rising and we are experiencing more severe weather conditions. To keep pace with climate change more sand will be required to maintain higher beach levels as we experience greater sand losses. 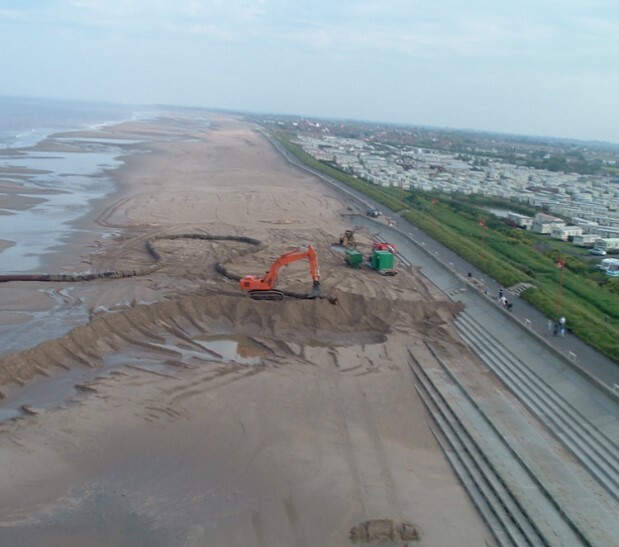 Because of this, we are now exploring beach nourishment alongside a range of viable alternative approaches/options to ensure that we can continue to provide a sustainable and affordable long-term flood risk management solution for communities along Lincolnshire’s coast line. We are working in partnership to conduct a full strategy review of coastal flood risk management for the coastline between Saltfleet to Gibraltar Point over the next hundred years. We have been engaging with key stakeholders, who have helped us reduce a long list of options to a shortlist of six. We brought these six options forward to a formal public consultation in February/March this year. As part of the consultation, a number of drop-in events took place along the coast, to offer the opportunity to learn more and for people to have their say. The consultation closed on 22nd March. Your views have been analysed, along with the results of the Strategic Environmental Assessment and our own analysis to form a draft strategy which will go out to further consultation in early autumn this year. Keep checking back to find out where you can view the draft strategy document and how to have your say. This consultation is now closed. We are currently finalising the draft strategy and will be taking this to a further formal consultation in 2019.